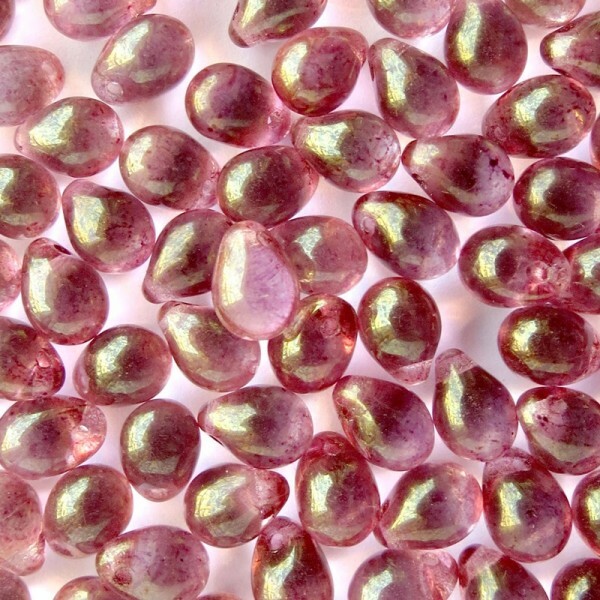 Czech Glass Teardrop Beads with Golden Pink Coating, 7 mm, 40 pcs. 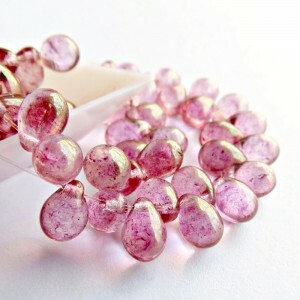 > Pressed beads>Drops>Czech Glass Teardrop Beads with Golden Pink Coating, 7 mm, 40 pcs. 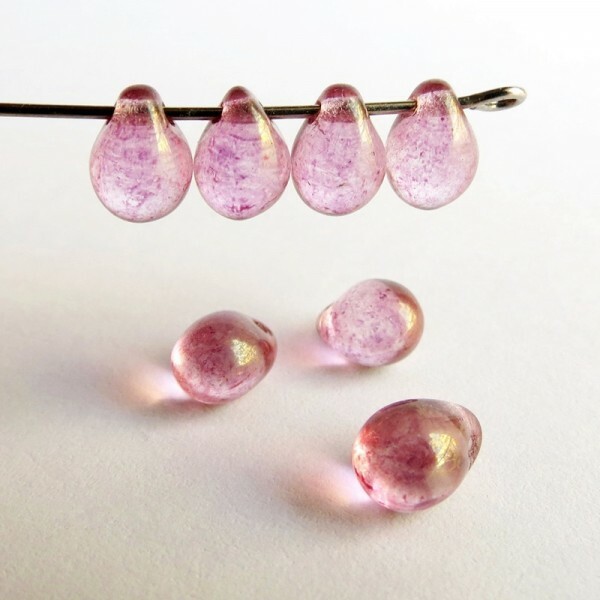 Small Czech glass teardrop beads. Color - clear with golden purple marbled coating. There are 40 beads in each pack.